A dental implant is a small post that is made up of titanium, bicarbonate metal or a combination of the two. 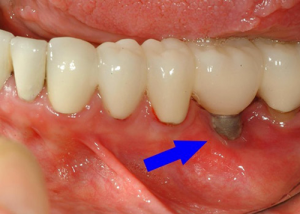 It is typically inserted into an empty socket of the gums left by a missing tooth. When an implant is inserted, it fuses with the jawbone tissue to become a very stable and painless tooth replacement. Unfortunately, when a jawbone has no natural tooth to support it, it begins to deteriorate. Dental implants are the only dental restoration option that allows the jawbone to not only thrive but to grow and remain stimulated as well. This is because the implant acts as if it were natural bone. Implants are flexible as well; they can be used to support a single crown, or be combined with multiple implants to support a bridge or partial/denture.  You must be committed not only to the daily performance of dental hygiene at home but to regular visits to your dentist (Bainbridge Dental in Burnaby, BC is currently accepting new patients). It is recommended that you see your dentist every 3-6 months for a professional exam and cleaning. The implant(s) should be examined with an x-ray annually. Great video on dental implant cleaning! It’s always good to watch someone else do it and compare. Glad you enjoyed the dental implant video tutorial. Keep checking back as we constantly add new content to help our patients achieve their oral health goals.